This is a great basic turkey rub with enough heat to make it interesting. The Cajun spices will infuse the bird with great flavor. While you might buy a rub that says it has these spices, you can easily make your own using spices you probably already have on hand. You can increase or decrease any of the spices to change the heat level. If you are making the turkey rub ahead of time, store it in an airtight container. You can keep it in a cool, dark place such as a cupboard for up to 6 months. You can use this rub on all poultry (chicken included), no matter how you prepare it. Use it for roasted turkey, rotisserie-grilled turkey, deep-fried turkey, or smoked turkey. It makes enough rub for a 12-pound to 16-pound bird. Whether you are cooking for the Thanksgiving feast or making a chicken for dinner, this will become one of your go-to rub recipes. 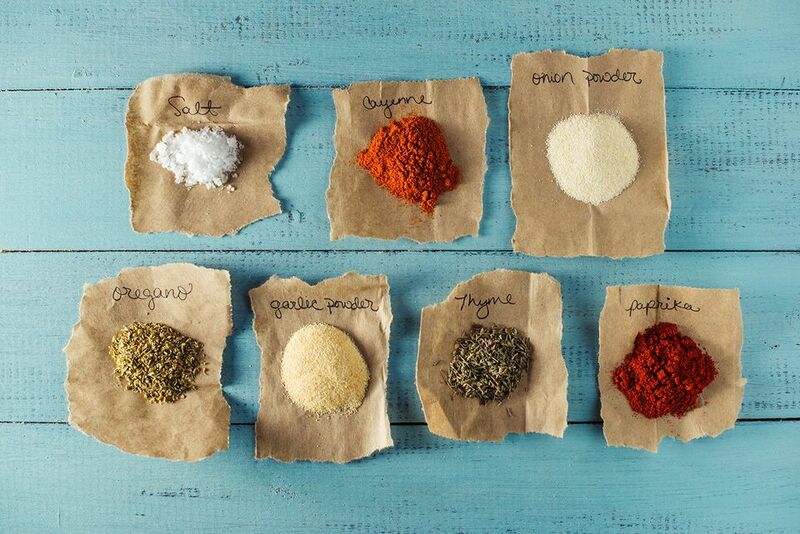 Always use non-iodized salt in your rubs and marinades. Iodized salt can ruin the flavor. Kosher salt or coarse salt could be used, but it is better to use a finer-grained salt to reach more of the meat consistently. If you have brined the turkey, you can eliminate the salt from the turkey rub and simply use the rub mixture without it. This will help prevent making the poultry too salty. You may want to wear rubber gloves when applying the rub so the hot spices won't irritate your skin (especially if you rub your eyes hours later). Rinse your turkey and pat it dry. Rub the mixture over the entire surface of the poultry, inside and out. Do your best to work the rub in under the skin of the breast. Let the seasoning mixture sit on the poultry, covered and refrigerated, for one to two hours. Never leave poultry out at room temperature. You can also use this rub in injection marinade or a basting mixture for the poultry. It's good if those use the same spices as your rub, in any case. To use the rub in a baste, place 3 tablespoons of the rub 1/2 cup of water or white wine. Stir to combine. Halfway through cook time for the poultry, begin basting with the mixture. Do so every 15 to 20 minutes until poultry is almost done. Discard the remaining baste.